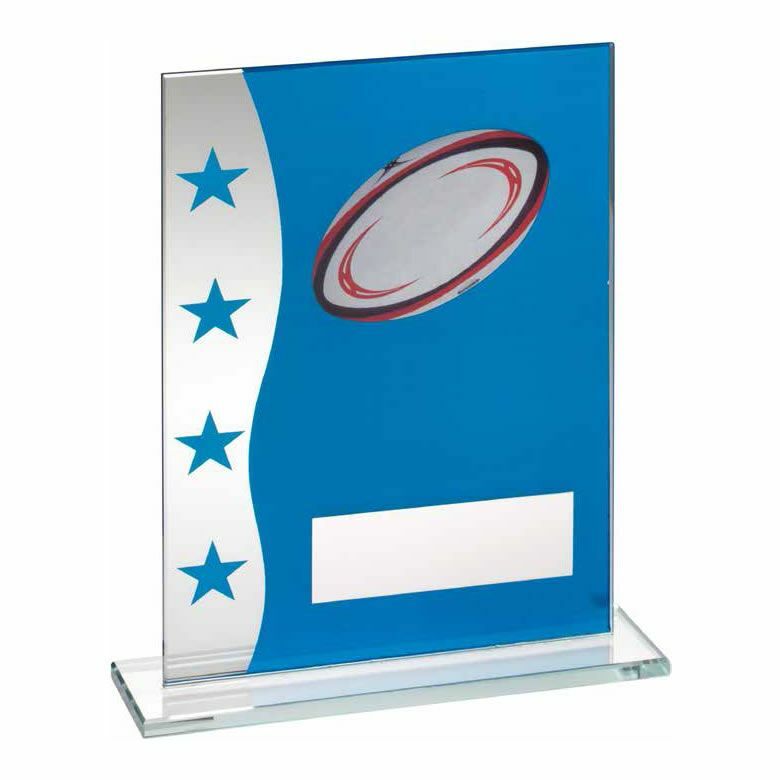 These colourful rugby awards plaques are made in clear and blue glass with a rugby ball motif and four stars. They include a metal engraving plate and flat glass base. Available in three sizes, offered with text and/or logo engraving options.